Homicides in both months fell to 48, compared to 55 in the same period of 2017, but a look inside the numbers shows the continuing drop in crime could be hitting its floor. New York City’s long hot summer of 2018 turned out to be cooler when it came to serious crime. July and August of 2018 were the safest summer months in modern city history in terms of homicides and shootings, officials said Tuesday. Despite an increase in killings last month, the combined total for homicides in July and August came in at 48 this year, compared to 55 in 2017, which was a record low for homicides in the modern era of record keeping, according to police data. 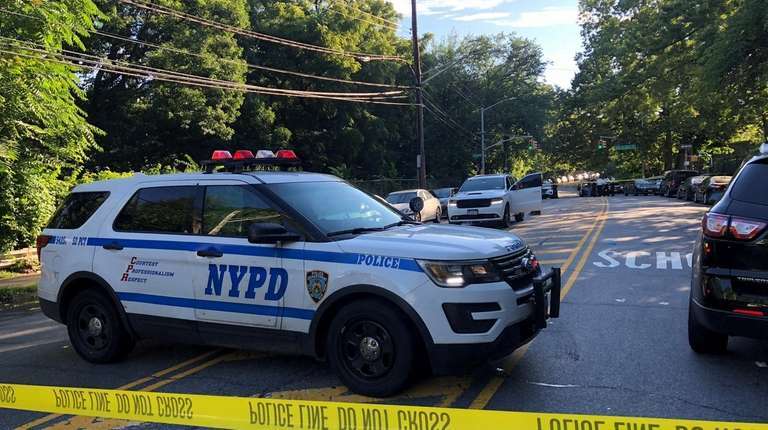 A drop in August shootings to 76, a decrease of 8.4 percent from 2017, also helped pull the violence quotient down in the city, said Chief Lori Pollock, head of crime control strategies for the NYPD. Speaking to reporters at the NYPD's monthly crime briefing, Police Commissioner James O’Neill said that when counting the summer months as being from Memorial Day through Labor Day, the city saw one less homicide and 4 less shootings than the same period last year. The summer has traditionally been a time of increased violence in the city and although there are signs the drop in serious crime may be reaching its limit, this year still bucked the trend, officials said, thanks to a seasonal deployment of extra cops from desk jobs to street patrols. Pollock said cops are watching out for so-called “harbinger crimes,” including disorderly groups, noise complaints, illegal gambling, and harassment, which can all escalate to shootings and retaliation. Mayor Bill de Blasio said the city continued to match or exceed many of the records from 2017 — a record low year for serious crimes such as murder, robbery and grand larceny. De Blasio and O’Neill have extolled monthly crime declines for much of 2018. However, the crime decline may be hitting a floor. As of Sept. 2, homicides were actually higher at 197 compared to 192 in 2017. Shootings last year were down by double digits but this year are down about 3.2 percent citywide. Overall serious crimes were also down 1.2 percent, although through most of 2017 they showed declines of between four and five percent. Pollock noted that rapes in August continued to increase by 24.4 percent over 2017, a trend seen in previous months, with 90 percent of the suspects known to their victims. Pollock also noted that a small increase of 1.5 percent in grand larcenies for August was attributable to the crime of mailbox “fishing” in which mail is stolen from mailboxes. A slight increase of 3.9 percent in car thefts was attributable to people leaving cars running, she said.